Updated Oct. 31, 2017: Under “Pricing and release date,” we have updated information on both the new premium Core i7 Surface Laptop with 1TB of storage, plus an update on the color options. The Surface Laptop stole the show at Microsoft’s May 2 event. The focus may have been on education, Windows 10 S, and affordable laptops for classroom use, but the oohs and ahhs went to the Surface Laptop for its beautiful display and Alcantara-clad keyboard, not to mention its light weight and long battery life. College kids are the Surface Laptop’s purported target user, but a lot of regular folks are intrigued by this new addition to Microsoft’s premium Surface family—and, frankly, many students won’t be able to afford it anyway. Interested? You’ve come to the right place. Here’s everything you need to know about the Surface Laptop. We have the pricing and release date, answers to your most burning questions, our video coverage, and all the specs. Click a link to the left to jump to a specific section, or just start reading. The Surface Laptop began shipping most SKUs June 15, and the highest-end SKU started shipping June 30, though just in one color. That’s over, thankfully. You can order the Surface Laptop from Microsoft’s site, and it’s also available from major retailers. Pricing starts at $999, and quickly goes up from there. We’ve summarized the full prices per configuration below (and you can find full specs and features later in this article). Students enjoy a 10-percent discount: For the entry-level Surface Laptop, that would drop its price from $999 to $899.10. Notes: As of our July 30 update, the highest-end SKU is available only in Platinum, with other colors still labeled “coming soon.” As of Oct. 31, these versions are available in all four colors: the Core i5/8GB/256GB SSD; the Core i7/8GB/256GB SSD; and the Core i7/16GB/512GB SSD. Everything else, unfortunately, is just available in Platinum. None of the above prices include a Surface Pen, let alone the Surface Dial. Neither peripheral is required, though. Microsoft also quietly launched the $80 Surface Arc Mouse soon after the Surface Laptop. The Surface Laptop is aimed at college students who might otherwise choose the MacBook Air. The Surface Laptop’s debut hand-in-hand with Windows 10 S has created a lot of confusion. Here are some answers, and we’ll keep posting more as we learn more. What is the Surface Laptop? The Surface Laptop is a thin, light, high-design ultrabook that Microsoft unveiled May 2 as part of a larger event about education. Distinguishing features include a gorgeous display, a laser-cut keyboard tray made of Alcantara fabric, and a claimed battery life of up to 14 hours. 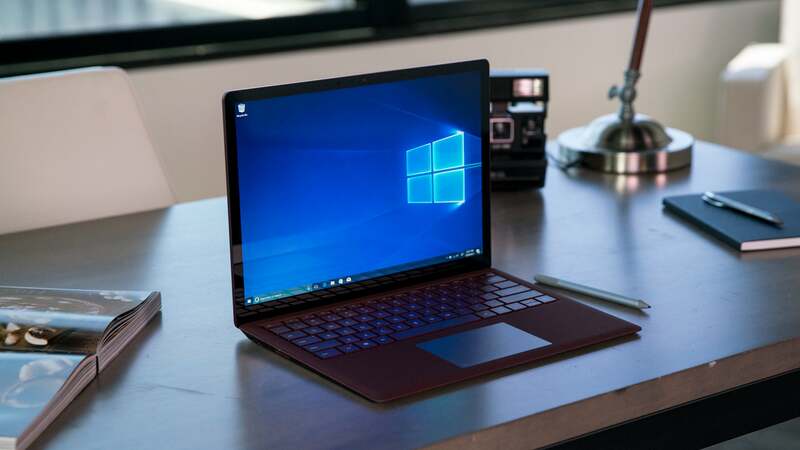 At the same event, the company introduced the secure, manageable Windows 10 S operating system, which will come preinstalled on the Surface Laptop as well as a lower-cost flock of laptops intended for K-12 classroom use. 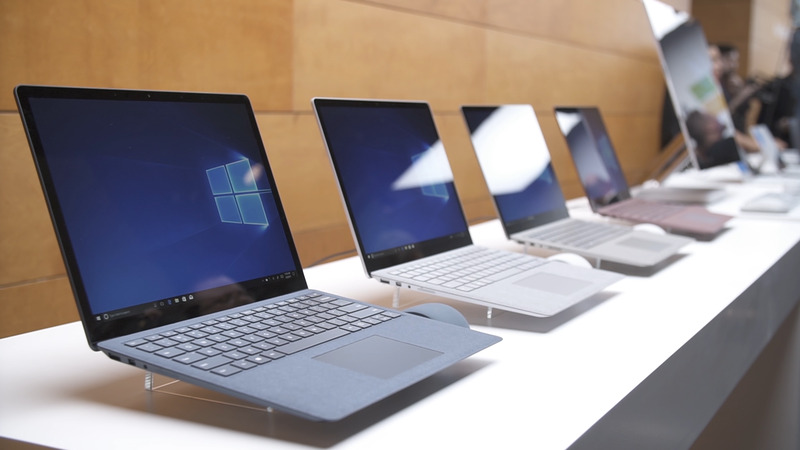 PCWorld’s Mark Hachman was among the first to try the Surface Laptop at the May 2 event. A seasoned user of both the Surface Pro and Surface Book, he saw the family resemblance in the Surface Laptop’s dazzling display and Alcantara fabric-clad keyboard. This is, indeed, a laptop that could turn the heads of MacBook Air faithful. What’s less clear is how the Surface Laptop’s thin-and-light compromises will play out: the new Kaby Lake CPU and big battery vs. the skimpy RAM in entry-level models, not to mention the scant port connectivity. Microsoft is aiming the Surface Laptop at style-conscious, MacBook-Air-loving college students, though many non-student users are clearly intrigued by it. How does it relate to the Surface Book and Surface Pro 4? The Surface Laptop’s clamshell design adds another form factor to Microsoft’s premium line of Surface products, all of which boast beautiful displays and unique features. The Surface Book is the most expensive of the family: a premium 2-in-1 laptop with a striking Dynamic Fulcrum Hinge. The keyboard base is stuffed with extra battery and, in some configurations, a discrete GPU. We’ve compared the Surface Laptop vs. the Surface Book based on the specs and performance data. Choosing between these two laptops was easier than we thought. The Surface Pro 4 is a 2-in-1 that leans more toward a tablet, with a kickstand and the option of a lightweight keyboard. Given the Surface Laptop’s pricing, the Surface Pro 4 is now the lowest-cost product in the family. We’ve compared the Surface Laptop vs. the Surface Pro 4 based on the specs and our reviews. How does it relate to other high-end thin-and-light laptops? Meanwhile, more than a few laptops from other vendors vie for the title of best thin-and-light. We’ve compared the Surface Laptop spec-by-spec with the Dell XPS 13, HP Spectre x360, and MacBook Air, and it’s a close race. The Surface Laptop runs Windows 10 S, but you can upgrade to Windows 10 Pro. How much does the Surface Laptop cost? The base model starts at $999, and the most expensive model costs $2,699. Microsoft also offers a 10-percent student discount. Looking at the Surface product line’s history, Microsoft has focused on high-end “halo” hardware that can inspire other hardware vendors to make similar products (that probably won’t be quite as expensive). This is a way for Microsoft to lead hardware innovation without being overly competitive with other vendors. The Surface Laptop began shipping June 15 and is available via Microsoft or other retailers. Does it come with Windows 10 S? Yes, Windows 10 S is the installed operating system regardless of where you buy it. What if I don’t want Windows 10 S? All Windows 10 S products, including the Surface Laptop, will be upgradable to Windows 10 Pro. For students and some other users, that upgrade will be free, with some deadlines and conditions. It’ll cost you $49 otherwise, so read the fine print and Mark Hachman’s detailed explanation. You can upgrade for free until March 31, 2018. How easy is it to upgrade to Windows 10 Pro? If you try and install an unsupported app on Windows 10 S, you’ll see this popup. Click the link at the bottom to install Windows 10 Pro. Microsoft recommends that you back up all of your existing files, which is always a smart idea. But the upgrade process took less than five minutes on a Surface Laptop, and required a single reboot. I don’t even believe that I needed to download any files from the Store. How do I get Office in the Windows Store? The second is that a one-year subscription to Office 365 Personal will be included with Surface Laptops that ship with Windows 10 S, but only during what Microsoft calls a “preview period.” This preview period gives Microsoft extra time to test the install and update process for the Windows Store versions of office. The end date is not specified, however, so it’s not certain how long Surface Laptop owners will enjoy this $70-value bonus. Other Windows users have to wait until the preview period is over to have access to Office apps via the Windows Store. For full information, check out Microsoft’s FAQ: Office on Windows 10 S.
A nearly invisible hinge secures the display to the base. In our extensive Surface Laptop review we gave it 4 out of 5 stars. In the article you’re currently reading, we’ll simply provide a quick synopsis. We review the Surface Laptop on two levels: as a stylish ultrabook, designed and priced to compete with Apple’s MacBook Air, and as a machine purpose-built for Windows 10 S, a version of the OS that restricts users to Windows Store apps but also allows an upgrade to Windows 10 Pro. As an ultrabook, it does a great job of addressing exactly what college students need. As an ambassador for Windows 10 S, not surprisingly (and arguably, as designed), the operating system feels constricting outside of its intended environment: the closely managed educational institution. But that shouldn’t detract from what Microsoft has accomplished with this machine. It’s thinner and lighter than the MacBook Air, and its Alcantara-fabric-clad keyboard tray makes lifting the lid feel like opening a plush jewelry box. There’s the gorgeous 13.5-inch, 2256×1504 display, for starters, plus Core i5 and Core i7 CPUs and SSD storage. The stingy port selection is one of the few letdowns in this striking design. One performance number is a mic drop: 12 hours and 45 minutes of battery life (rated). 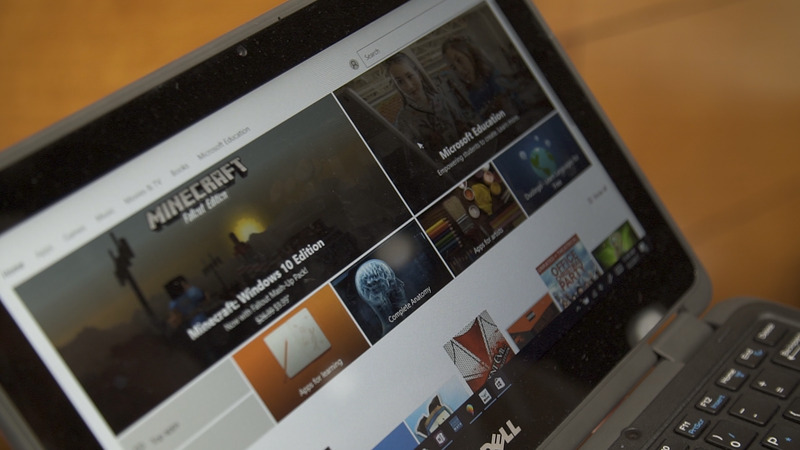 Under our testing, the Laptop lasted about 11 hours and 30 minutes—still excellent! When we upgraded the Surface Laptop to Windows 10 Pro, we were able to run our full suite of benchmarks, available in the second page of our Surface Laptop review. What we found was interesting: generally speaking, the updated Kaby Lake chip inside the Laptop keeps up and even surpasses the original Surface Book in places, aside from 3D graphics. Granted, ultrabooks have other priorities than speed. The browser-based benchmarks we tried indicate the Surface Laptop could be merely an average performer, but we’ll tell you more after we move to Windows 10 Pro and run our traditional suite of tests. The lingering question is: What’s a beautiful laptop like this doing with a constrained operating system like Windows 10 S? We foresee many buyers will squirm out of its Windows-Store-only clutches and upgrade to Windows 10 Pro. Our Surface Laptop review video shows off the product’s best features and also talks about what it’s like to live with Windows 10 S.
We posted video from Microsoft’s May 2 event where it unveiled the Surface Laptop, which you can view here. For all the Surface Laptop specs, keep reading.